Oceana made great strides last week in our fight to stop offshore oil drilling in Belize’s crystal blue waters. First, last week the Belizean government decided not to re-issue the offshore drilling concessions previously held by the Taiwan-based Overseas Petroleum Investment Corp. (OPIC), an offshore oil exploration company. In October, OPIC relinquished its permits to approximately 1.14 million acres off Belize’s coast. And second, in response to a letter from Vice President of Oceana Belize, Audrey Matura-Shepherd, Prime Minister Dean Barrow agreed to put the matter of offshore drilling to a public referendum. 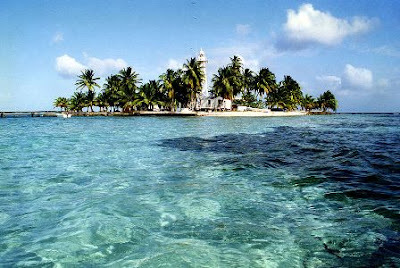 Oceana has become a leading voice in Belize against offshore drilling. Belize is home to the magnificent Belize Barrier Reef, and as such, offshore drilling would be devastating to the country’s tourism and fishing industry. What’s more, the people of Belize stand to gain very little from any oil exploration because the bulk of the wealth from oil extracted does not remain in the country. While these developments are excellent news, Oceana will continue pushing hard in its campaign to stop offshore drilling in Belize. Oceana, founded in 2001, is the largest international organization focused solely on ocean conservation. Image via Oceans: Wikimedia Commons.